Looking for a great way to build team morale at the office or want to have a fun and unique birthday celebration? A limousine scavenger hunt is the perfect way! Dividing your group into teams. Giving each team a list of tasks and items to collect. Setting a finish time and place. Racing off with professional drivers at the wheel (who know how to get around town). Meeting at your designated time/place to tally up points for all items. Reminiscing about your fabulous time on a Premiere #1 Limousine scavenger hunt for weeks, months or even years to come! Looking to save money for your child’s birthday party? How about a fun stretch limousine ride? Book your limo on a Sunday and save 20% off the normal rate. 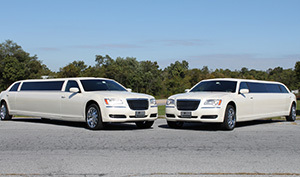 Our 8 passenger limousine on a Sunday is only $225.00 for 3 hours with a pick up and drop off in the Hershey/Harrisburg area. Pick up at your residence. Drive to the Sugar Shack and give each child $5.00 to make their own goodie bag. Call 717-616-8995 with any questions.